Lovely to chat - my goodness! it has been sooo long ago - oh well, I can blame it on the heat again. 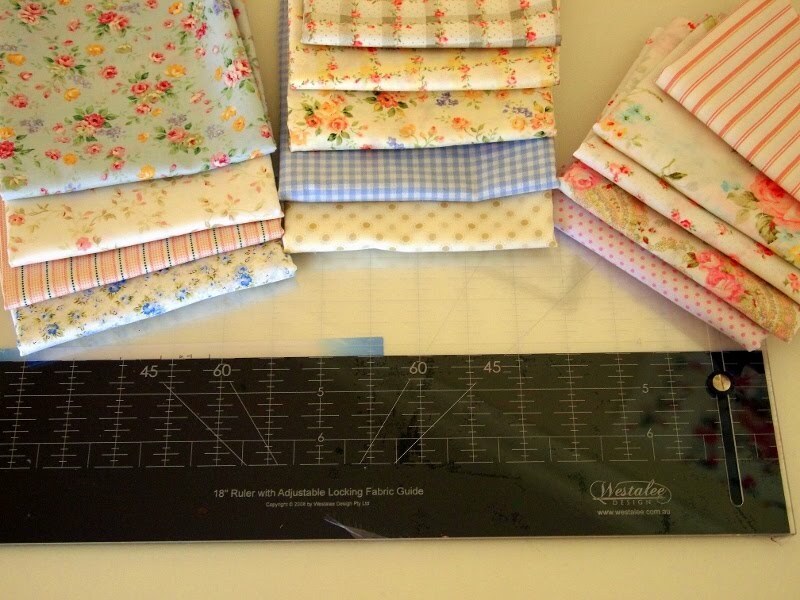 Let's hope today turns out to be a nice sewing day. 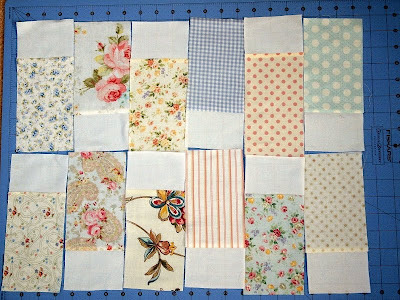 I have a two quilts very close to a finish and a new start! 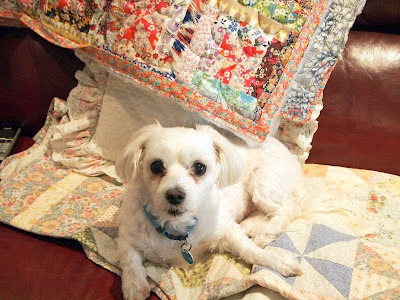 The above and below - a vintage quilt inspired by Rita of Red Pepper Quilts! 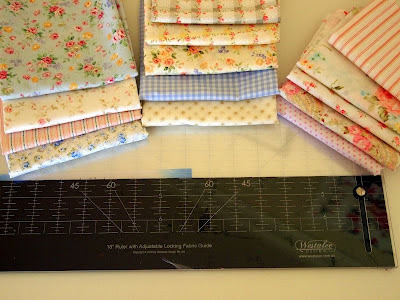 Now something is not right - I have developed my own measurements as I want to do big-stitch quilting - yes, again! - there's not enough oomph! so I am going to throw in a few Liberties hoping to give it some zing. Like this gorgeous Liberty that my Girlfriends! made for me when things were going rough - it is a bit of a hard act to follow, lol! As you can see binding is in progress and all being well I will exhibit in our QuiltWest in May. Awww! My baby Alice on her quilt - one of the very oldest I have. Another binding in progress - and all being well it will go into the show, too. 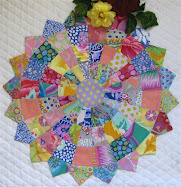 I have had such fun with every aspect of this quilt - hence the desire to big-stitch quilt. I'm not too sure about all the thickness where those Prairie Points go under the binding - it would be a bit sad to have to remove them. Enjoy what is left of your weekend - there's a nice little breeze around here, so fingers crossed! Happy Birthday Lurline...have a lovely day.! I can hardly wait to see the finished result! I hope you're having the bestest day, I still love those elephants! Great to see your projects so close to finish. I was thinking about you just yesterday and wondering if you were OK. Happy special day to you Lurline! I love your projects and two finishes isn't too shabby. I love the romantic look of the new one. Love, love the convergence quilt from your last post too. 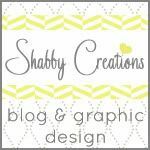 Did you see the giveaway on my blog? I look forward to ssing your project inspired by Red Pepper...the fabrics you chose are wonderful! 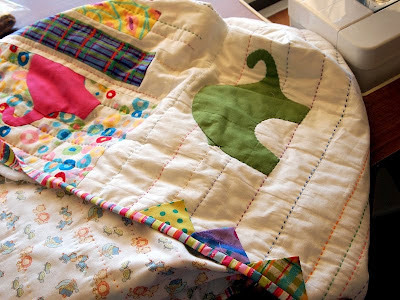 oh I just love the quilting on the elephants and the prairie points are just fun. 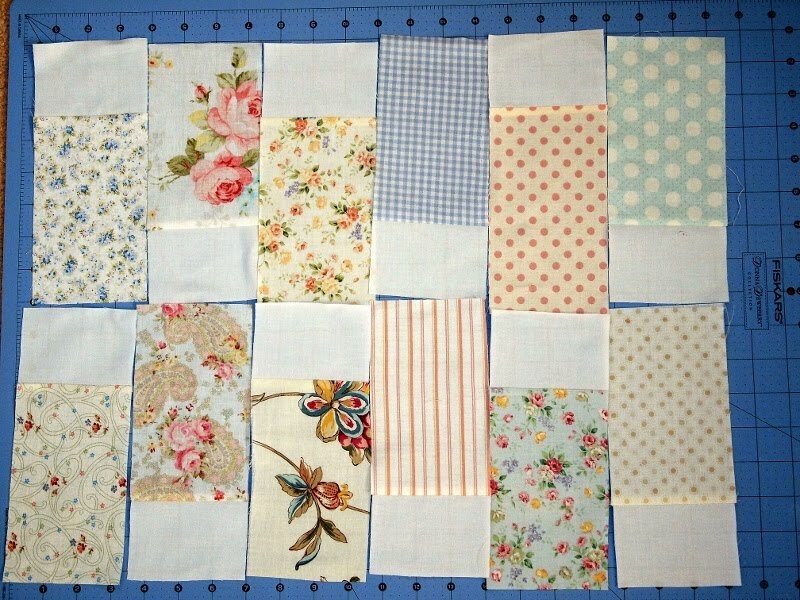 this new quilt is just so pretty, beautiful fabrics, keep going! It sounds like we share a birthday week! Hope it was a happy one! I like what you have going here...especially the elephants....so cute. THe elephant quilt looks soft and cuddly. What kind of batting did you use in it? So cute! Love this little elephant quilt.